Of course, a big part of the party will involve having the game on and watching the action of the two teams. 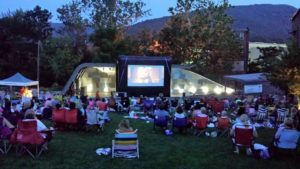 A giant inflatable screen set up in the backyard could be the perfect way to make sure that every guest has a great view of all the exciting action. With such a great view, though, expect even more intense arguing about the officiating. Part of the fun of watching the NFL’s Golden Game is gorging on delicious food and drink. Your guests will already be expecting traditional fares such as sandwiches, chips, and beer. So go beyond the expected with individual pastries shaped like pigskins and stuffed with southwestern chicken. Football cookies, chocolate-covered apple wedges that look like footballs, or pigskin brownies in cups are just a few fun ideas that fit the theme. Hot finger foods such as wings and meatballs are always a hit, too. And don’t forget the dips! 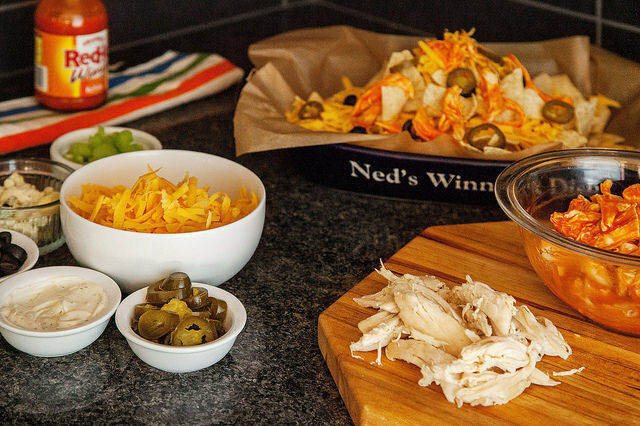 Expand your guests’ taste buds with a unique variety that includes buffalo chicken, artichoke, and hot bean dip. When halftime rolls around, some of your guests may not be excited about the halftime show. So to keep everyone entertained with a championship party they’ll never forget, plan these fun and thrilling activities. Football Bingo: Print out a series of bingo cards that substitute numbers with things that you’re likely to see in the game. 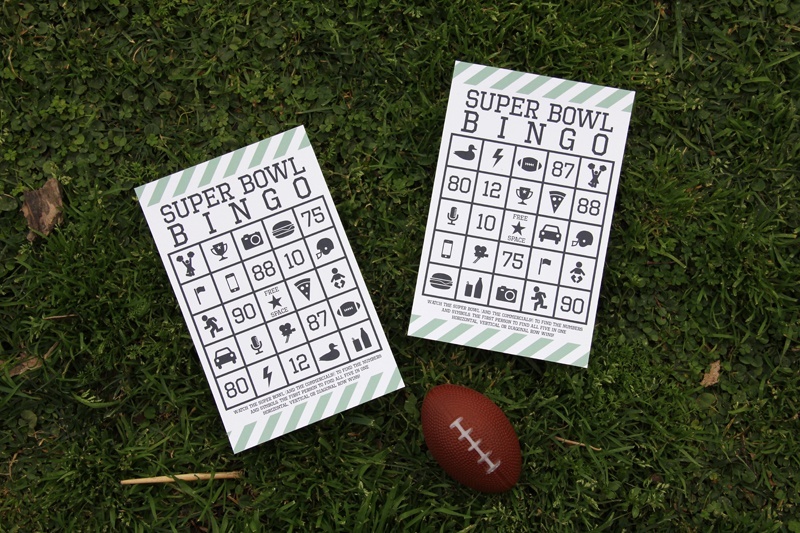 Even those who aren’t invested in any team will watch intently to see if they have bingo. Make sure you have a prize such as a helmet or a DVD copy of Any Given Sunday for the winner. Pin the Football on the Field Goal : Like the traditional tail and donkey game, for this one you set up a paper field goal on the wall, spin your guests around, and have them try to stick tiny footballs through the uprights.It’ll totally mimic the dizzying pressure the kicker feels when they’re entrusted with scoring the final points of the game. Football-themed Inflatables: Recreate the greatest catches in the big game with a football-themed inflatable from Space Walk. It’s 4th and 20, and you have to get the first down to extend the game. The First Down inflatable lets all partygoers try to be the hero to make what seems like an impossible completion. 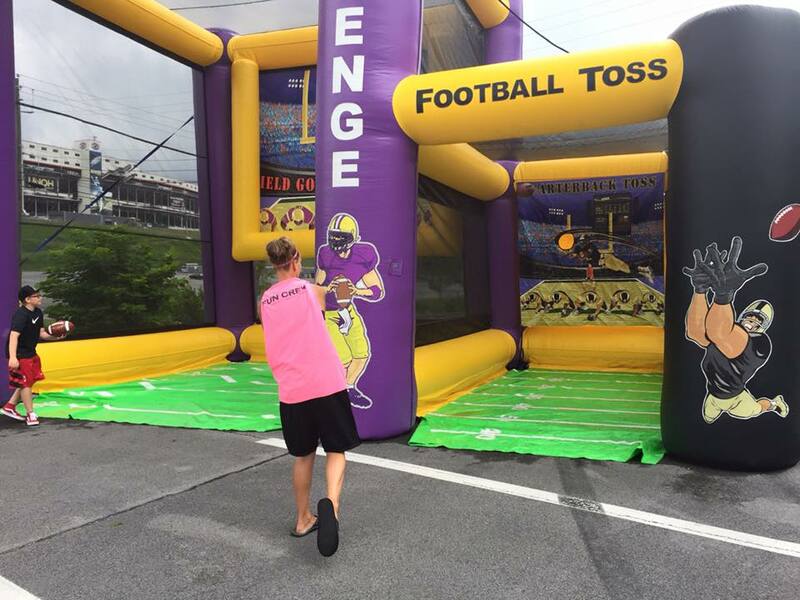 The QB Blitz is also the perfect inflatable to try and increase your quarterback rating. And for all the Florida State fans out there, relive the dynastic years with the Seminole Football Toss. Using these football party ideas will make you and your guests feel like the ones who are celebrating winning the championship.